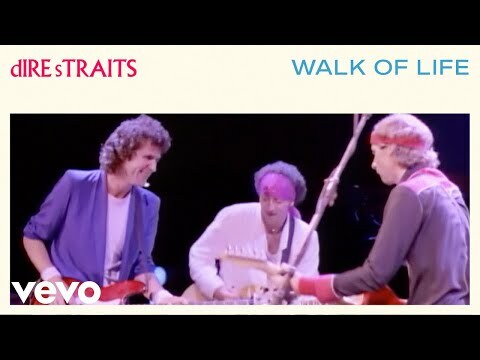 "Walk of Life" is a song by the British rock band Dire Straits. It appeared on their best-selling album Brothers in Arms. It subsequently appeared on their live album On the Night. It was released as a single in November 1985 but had first been available as the B-side of "So Far Away" released in advance of Brothers in Arms. The track peaked at number seven in the US charts and was their biggest commercial hit in the UK, peaking at number two. The track also appeared on two compilation albums: 1998's Sultans of Swing: The Very Best of Dire Straits, and 2005's The Best of Dire Straits & Mark Knopfler: Private Investigations.